The Illinois maker of a cat and dog food product issued a voluntary recall over a potential contaminant that could cause symptoms of illness and possibly even death. 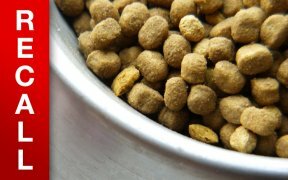 Evanger’s Dog & Cat Food issued the recall after pentobarbital was discovered in a sample of its Hunk of Beef Au Jus product, WSOCTV.com reported. Pentobarbital could cause drowsiness, dizziness, nausea, loss of balance, excitement or possibly death if ingested by an animal, the report noted. The recall affects the company’s 12-oz Hunk of Beef product distributed to stores in Washington, California, Minnesota, Illinois, Indiana, Michigan, Ohio, Pennsylvania, New York, Massachusetts, Maryland, South Carolina, Georgia and Florida. The product is also sold online and was manufactured during the week of June 6 – June 13, 2016, with lot numbers that start with 1816E03HB, 1816E04HB, 1816E06HB, 1816E07HB and 1816E13HB, according to the report. At least five dogs were sickened by the product, with one death being attributed to the bacteria. 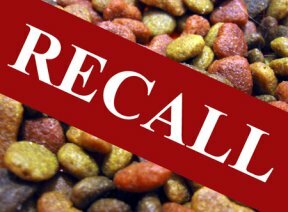 The company issued a statement assuring pet owners that its suppliers are USDA approved, and that the recall was issued out of an abundance of caution. “We continue to investigate how this substance entered our raw material supply,” the statement said, according to WSOCTV.com. “Because we source from suppliers of meat products that are USDA approved, and no other products have had any reported problems, we are not extending the recall to other supplier lots. This is the first recall for Evanger’s in its 82 years of manufacturing.” The statement instructs consumers with questions to contact the company at 1-847-537-0102.